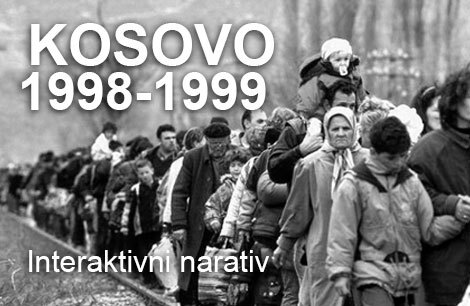 The establishment of a Regional Commission to establish the facts about war crimes and other gross human rights violations perpetrated within the territory of the Former Yugoslavia (RECOM). The initiative to establish RECOM is being advocated for by the Coalition for RECOM – a coalition of 2,050 civil society organizations from all post-Yugoslav states. The Coalition has gathered the support [for the establishment of RECOM] of 580,000 individual citizens, prepared the Draft RECOM Statute and secured strong political backing for the establishment of RECOM. The region’s Presidents have affirmed their support for the establishment of a regional commission by appointing personal envoys to RECOM, who, in October of 2014, after a year’s worth of collaboration and consultations with their respective Presidents and Presidency members, submitted the “Amendments to the RECOM Statute” to the Coalition for adoption. On November 14th, 2015, the Coalition Assembly voted to adopt the Amendments to the RECOM Statute without any objections, which marked the start of the transfer of the initiative to an inter-state level, where the decision to establish RECOM is to be made. – Correspondence with the region’s newly elected leaders (the new Croatian President and the new B&H Presidency members) aimed at securing their support for the Amendments to the RECOM Statute and their help in meeting the necessary conditions to initiate the procedure to establish RECOM. – Correspondence with the Serbian Prime Minister concerning public support for the establishment of RECOM. – Presentation of the Mapping the Prison Camps and Other Detention Sites in B&H, 1991 – 1995 project. 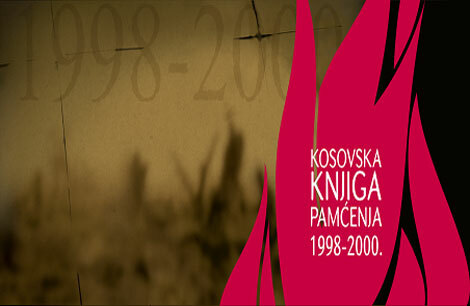 – Presentation of the findings of the evaluation of the Kosovo Memory Book (KMB). – Presentation of the new REKOM.link webpage. By the end of June of 2015, only the Serbian Prime Minister had replied and invited the RECOM Coalition to meet with him, but the meeting was subsequently delayed due the PM’s unforeseen obligations. The Association “Transitional Justice, Accountability and Remembrance in B&H” (TJAR) and the Center for Democracy and Transitional Justice (CDTJ) held press conferences in Sarajevo and Banja Luka, where they presented the information on the 150 prison camps they had documented as part of a joint project “Mapping the Prison Camps and Other Detention Sites in Existence During the B&H War”. The aim of the project is to help the future commission [RECOM] fulfill its mandate with respect to the creation of a Registry of All Prison Camps in B&H. Dr. Patrick Ball, Dr. Jule Kruger and Prof. Dr. Michael Spagat, experts on quantitative analysis of human rights violations perpetrated during armed conflicts, presented the findings of their two-year long evaluation of the KMB Database at two press conferences held in Pristina and Belgrade in February of 2015. Both conferences were attended by the professional public, numerous journalists and members of victims’ families. The experts’ shared assessment was that the HLC and HLCK had created the most complete registry of war victims in Kosovo in existence, and that it provided a reliable account of the circumstances of death of each registered victim. In May of 2015, the Coalition for RECOM launched its new web site – www.recom.link, which, apart from a well-organized archive of the whole consultations process, also contains numerous victim testimonies, and regularly covers new research dealing with the theory and practice of reconciliation in post-conflict societies. Another novelty introduced by the website is an overview of the many commemorations and anniversaries of wartime events and war crimes, which shows that there are still major differences in the perception of wartime events. – Meetings with the newly elected Croatian President and B&H Presidency members aimed at gathering support for the establishment of RECOM. – Meetings with the OSCE aimed at gathering support for the establishment of RECOM. 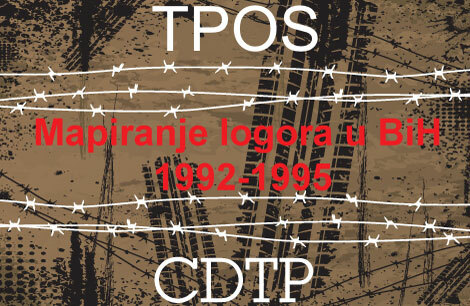 – At least four public debates aimed at promoting RECOM as an official mechanism for the establishment of facts about war crimes perpetrated in the former Yugoslavia and the creation of a fact-based culture of memory and reconciliation in post-Yugoslav states. – At least five lectures on transitional justice based on war crimes research and the whole RECOM Process, to be held in high schools across Kosovo. 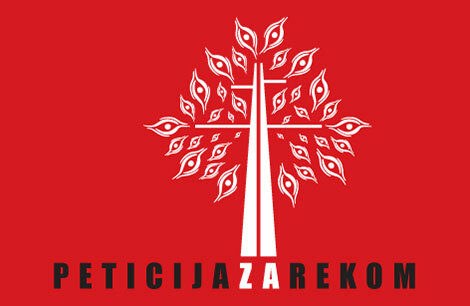 – Four press conferences, to be held on the occasion of the International Day of Human Rights (December 10th, 2015), where the HLC, HLCK, Documenta, TJAR and CDTJ are to give a presentation on the outputs of the Human Losses During the Wars in the Former Yugoslavia and the Mapping the Prison Camps and Other Detention Sites in B&H projects.